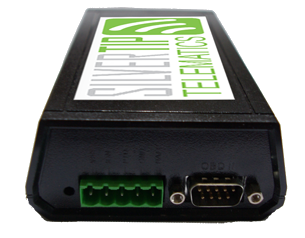 With the eLogger, you can be instantly notified by email or a text message regarding issues with your vehicles, ranging from extracting trouble codes, monitoring fuel consumption, to monitoring driver and vehicle performance. By effectively managing and controlling your fleet assets, variable costs can be significantly decreased while efficiency is increased. The eLogger is an advanced Remote Monitoring System with on-board storage and advanced battery saving technology. The system is able to monitor light and heavy duty vehicles to log diagnostic and other data. Studies have shown that companies using sophisticated Computerized Maintenance Management Systems (CMMS) typically see up to 30% savings on maintenance costs and up to 10% savings on fuel costs. All data can be logged on a scheduled or event-driven basis. Normally, data is read and logged every 2 or 3 seconds. Data can also be logged on an event basis and can be collected and unloaded as summaries. eLogger provides users the power to access real-time productivity and efficient information on virtually every aspect of its operations from the Internet. The eLogger collects and wirelessly transmits data from the vehicle’s engine computer to the server. With a simple and secure web interface, users can log on and view specific vehicle data, such as fuel consumption, mileage, speed, and idling time. The web application provides a dashboard, highlighting any maintenance that requires immediate attention. With a powerful microprocessor and ample non-volatile on-board storage, this system is well suited for collecting and reporting on the performance of vehicles and drivers. eLogger is mounted in the vehicle and connects to the on-board computer system via OBDII or J1939 buses. It uses a short-range wireless radio to communicate with a Gateway, sending data to the web-based database and application.